Fall in Alabama is different than it is the Midwest. There’s no apple picking, cornfield mazes, leafing, or heavy wool sweaters here. The air is crisp and pleasant, though the roaches that sneak inside for warmth and water are less so. It’s a season that might slip by unnoticed, except for one thing: college football. After a few weekends of battling crowds and traffic in Tuscaloosa, we decided to escape to New Orleans during Matt’s fall break from the university. We timed the trip for the weekend before Halloween, because what city anywhere in the world is better at being spooky? 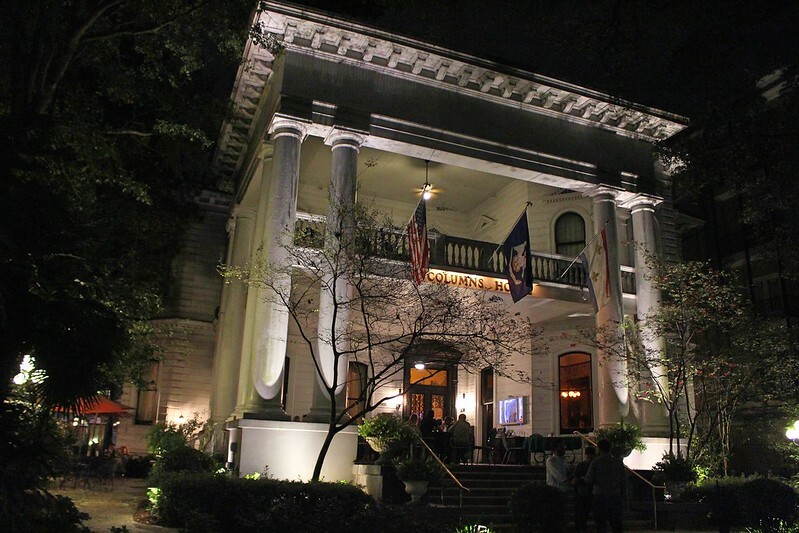 The Columns Hotel is haunted by the “woman in white,” who floats around the patio and first-floor parlors. Five years ago, we were in New Orleans for a wedding, and M’s cousins took us to the Columns Hotel for one or two (cough) drinks. Anyway, we decided to get a room this time in the historic mansion-turned-hotel. Oh, and it’s also very haunted (read more about that here and here). On our first night, we left the ghosts at the hotel bar and made our way to Frenchmen Street for some music and an art market. A street magician got ahold of M, and he was spellbound enough to part with $5.50. Our expectations for the tour were modest, but Melissa ended up being a very informative and enthusiastic guide. We wandered through Congo Square, where the earliest voodoo rituals in New Orleans were disguised as dance performances, and stood in front of 1020 Rue St. Ann, where Voodoo Queen Marie Laveau lived and built her political empire. Melissa talked about voodoo’s similarities to Catholicism, its emphasis on energy, the misunderstood possession rituals, and the positive functions of voodoo dolls. At one point, a couple of Bourbon Streeters wandered over to heckle us about “their own special dolls,” but our guide didn’t bat an eye. The front entrance to Voodoo Authentica. No photography is allowed inside. 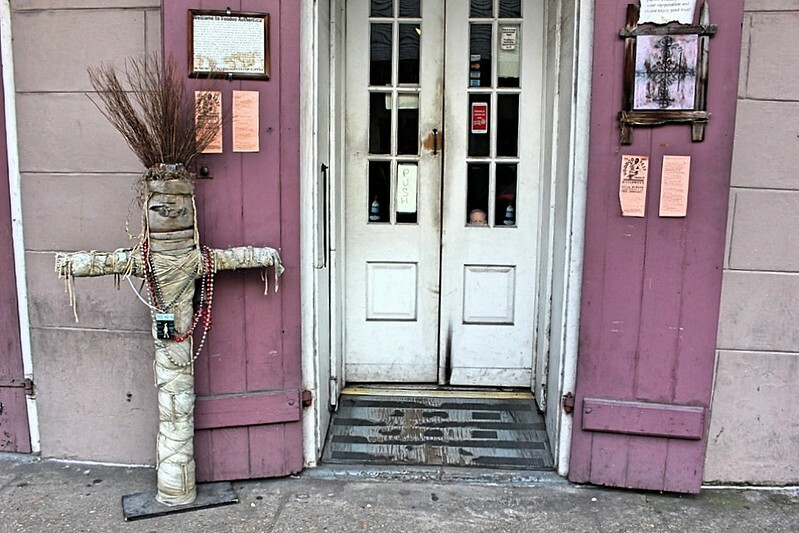 However, the most interesting thing about the tour was that it ended at Voodoo Authentica, a shop that serves as a sort of hub for the New Age voodoo community — which is whiter and less Louisianan than previous generations of priestesses and practitioners. The folks at Voodoo Authentica appear to be very genuine about their faith and rituals; there are altars dedicated to Laveau and other Lwa throughout the store, and I overhead the in-house reader say that he wasn’t willing to “adjust” his practice to accommodate a tourist who wanted her fortune told in 15 minutes, tops. The shop also organizes public voodoo events and coordinates a range of private blessings and rituals. 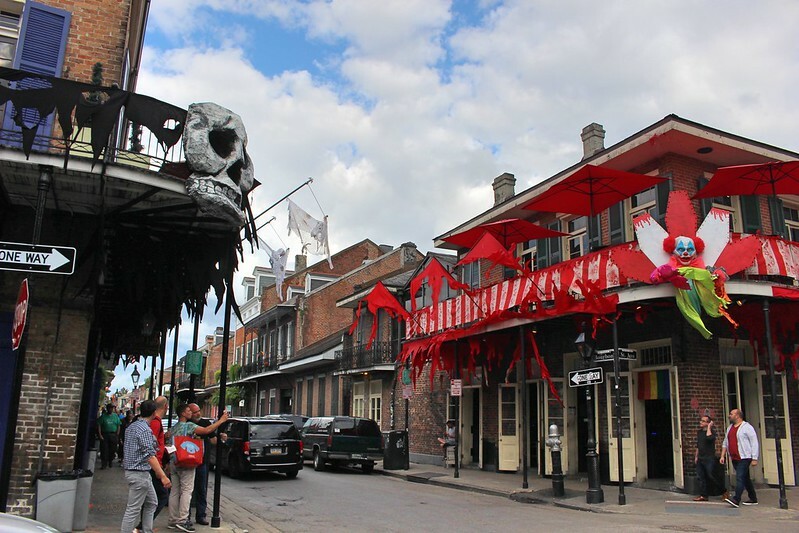 Authentica is definitely a far cry from the other tacky, “creepy kitsch” shops in the French Quarter, like Marie Laveau’s House of Voodoo and Reverend Zombie’s. But it’s still decidedly tourist-oriented, with tiny bottles of essential oils packaged as “potions” that sell for $10 a pop. And other non-voodoo spiritual items and trinkets are for sale alongside the dolls and gris gris bags, such as sage bundles and wooden turtles imported from Senegal (yep, I bought one, and I love it). Voodoo is probably the most complex syncretized religion in American history, and modern voodoo is a fascinating case study in cultural appropriation, authentic spiritual experience, and the pressures of modern tourism. I wholeheartedly recommend taking a voodoo tour in New Orleans; just remember to think critically about what you’re told and where you’re taken. Alright, that’s enough preachin’. Let’s get back to eatin’. Chicken and sausage gumbo? Check. 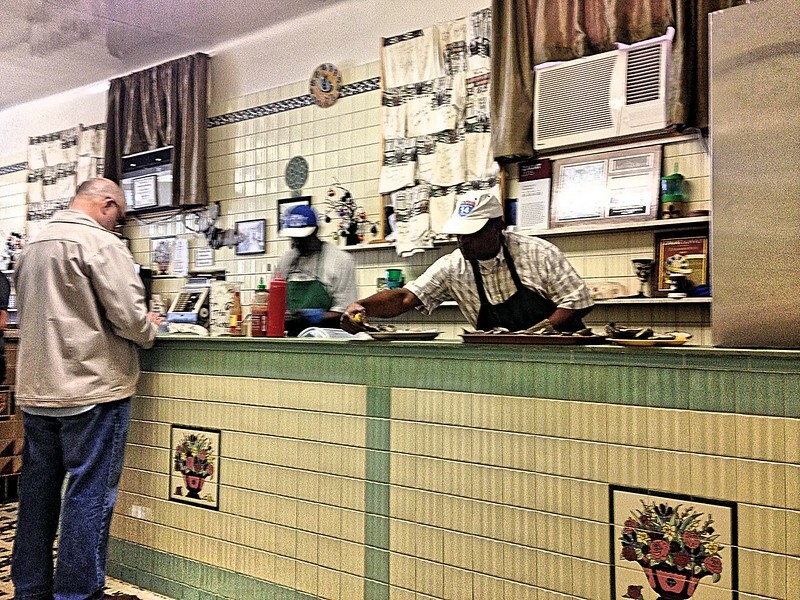 Fried catfish with real turtle soup to start? Check. Oysters, both raw and charbroiled? Most definitely check. Coffee under the protection of voodoo dolls? Yep, that’s a check. These guys specialize in a very powerful kind of energy: caffeine. 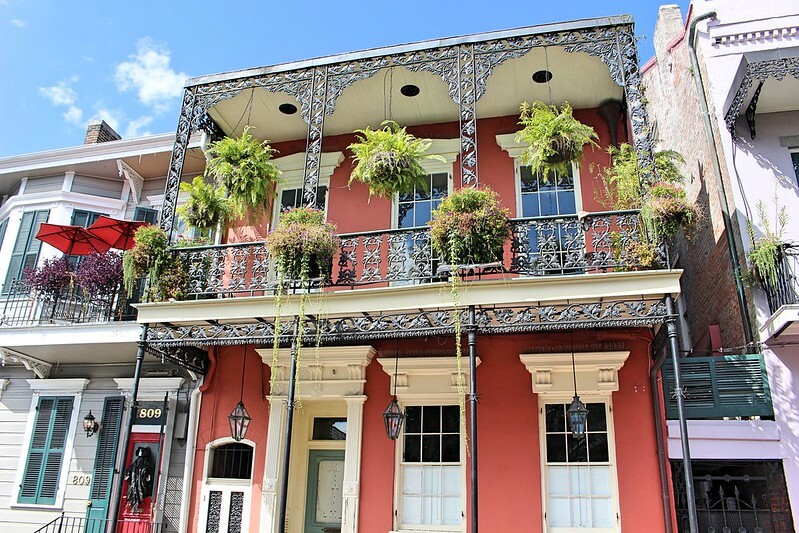 Matt likes to say that New Orleans has a lot in common with Vienna: a storied past, a colorful present, a strong sense of tradition, and a reverence for the arts. Maybe that’s why we were so eager to visit the city again this fall. Or maybe we just really needed some decent oysters. The French Quarter gives me Europe flashbacks.